On March 4, 1865, shortly after noon, Abraham Lincoln rose on the East Front of the Capitol to deliver his Second Inaugural Address. As the four year long Civil War, a conflict that would claim over 600,000 lives, finally appeared near an end, his audience wanted—and expected—a celebration of the North’s success, an “on to victory” battlecry and perhaps details of what would come to be called “Reconstruction.” Lincoln would disappoint them. If this surprised his audience, how he justified this plea for reconciliation no doubt shocked them more. The war, Lincoln said, was God’s punishment on both North and South for the sin of “America [not just Southern] slavery.” The bloodshed might not end, Lincoln warned, “until every drop of blood drawn with the lash shall be paid by another drawn with the sword.” In short, Lincoln said all Americans shared responsibility for the peace because all had been responsible for the war. 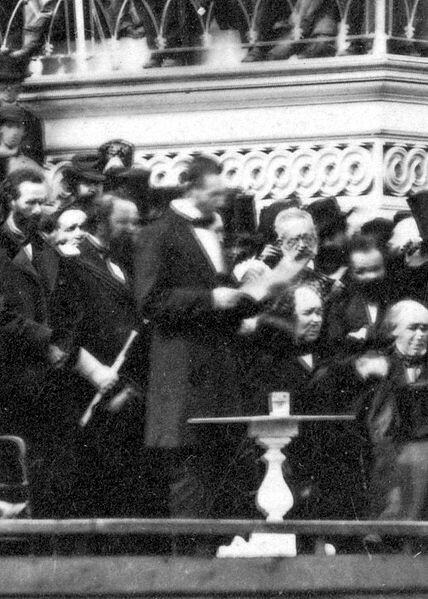 The key to Lincoln’s inaugural emerged in the same letter to Weed, when Lincoln added, referring to his invoking God’s judgment, that “[I]t is a truth which I thought needed to be told.” For a president to tell followers—including the radical republicans in Congress who were central to his war coalition—what they do not want to hear was an act of moral courage. Moral courage, as defined by Rush Kidder in his book of the same title, consists of the intersection of three things. First, there must be a moral principle — for Lincoln the importance of mercy over revenge. Second, one must realize there is danger in adhering to that principle. The danger can be to reputation, legitimacy, access to power and resources, one’s job or life. Lincoln risked all these. Third, one must exhibit endurance—perseverance in service to principle and despite danger. Lincoln not only gave his inaugural but acted consistently with it as he set terms for the surrender of rebel forces, their repatriation and the reintegration of Southern states into the Union. All three are required: principle and danger without endurance is timidity. Principle and endurance without awareness of the danger is foolhardiness. Danger and endurance with no moral principle at stake may be physical courage (a bank robber), but it is not moral courage. What Can Public Servants Learn from Lincoln? Lincoln told the truth, especially when it was hard. Public servants will find many cases where “going along to get along,” submerging dissent or lying will be attractive choices. Avoiding such behavior meets the demand of moral courage. Lincoln became a teacher. He shared what he learned — what the war meant and what peace required. He sought to help his followers learn. He served as an exemplar—so can all public servants who model moral courage for others. Lincoln exhibited political savvy. He waited for the right moment (the war’s outcome being decided and his power at its height) and only pushed for abolition when black soldiers had swelled the Union army by 200,000. His moral call had political power behind it. Lincoln was faithful to his Constitutional oath. His moral principles and his principled action aimed at, and were consistent with, the “more Perfect union” in the Constitution’s preamble. Public service, viewed as a calling not just a job, demands that moral courage accompany technical proficiency. That was what Lincoln modeled. 1. Lincoln told the truth, especially when it was hard. Public servants will find many cases where “going along to get along,” submerging dissent or lying will be attractive choices. Avoiding such behavior meets the demand of moral courage. 3. Lincoln became a teacher. He shared what he learned — what the war meant and what peace required. He sought to help his followers learn. He served as an exemplar—so can all public servants who model moral courage for others. 4. Lincoln exhibited political savvy. He waited for the right moment (the war’s outcome being decided and his power at its height) and only pushed for abolition when black soldiers had swelled the Union army by 200,000. His moral call had political power behind it. 5. Lincoln was faithful to his Constitutional oath. His moral principles and his principled action aimed at, and were consistent with, the “more Perfect union” in the Constitution’s preamble.